Today we have a new player in the field of shaving apparel. Michael Riley reached out a few weeks ago wanting me to test one of his creations which when it arrived seemed pretty polished even tho it was on its 7th revision when I received mine and has been revised even further. 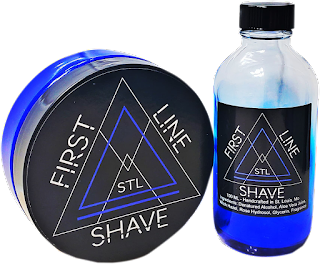 Its final release will be this May 19th, 2019 I’m talking about First Line Shave a first responder owned and operated business. I was first introduced to Duke Cannon with there amazing bar soaps I think one of the biggest bars on the market and the scents are just fantastic. So I will really disappointed when I got my hands on a tube of there Hot Shaving Gel. What in gods name were they thinking? First off gels just don’t work well for anyone and I’ve reviewed many of them and only found one to be any good and it was extremely expensive, all this product did was piss me off. The packaging was typical for a modern product flip open top easy to dispense and store. Nice attractive coloring. 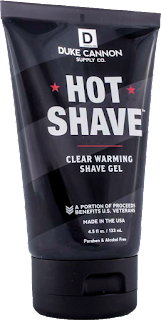 The instructions say that you can’t use a brush and you should use warm water first on the face and then massage it in with your fingertips leave it on for 30 sec or so and it should begin to get warm not hot warm even though the products name is Hot Shaving Gel. 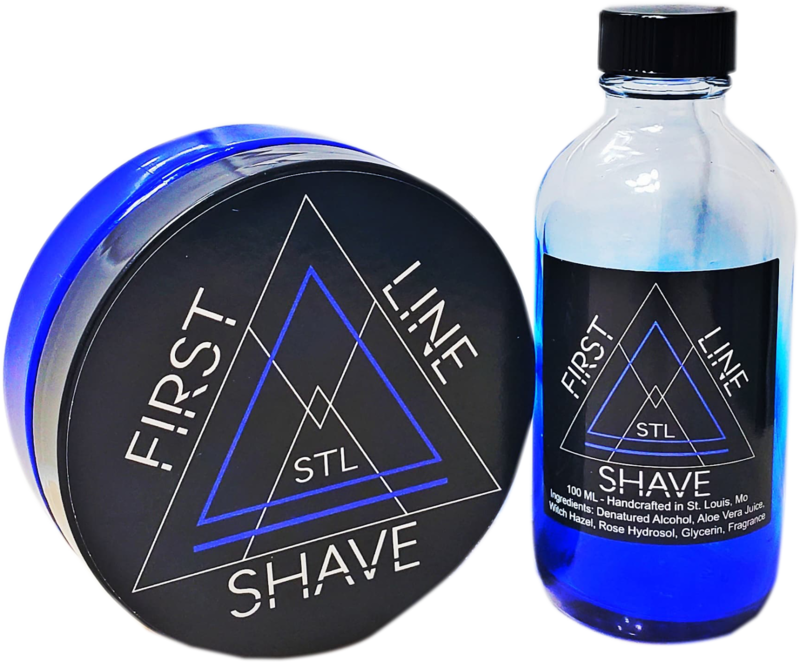 Each year I call upon my brothers and sister in the wet shaving community to contribute to our Wet The Face Giveaway’s and so far since 2015 we have never missed a one yet. 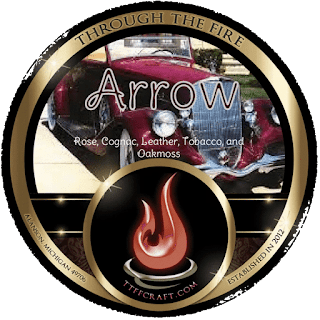 This year our group of artisans includes Through The Fire fine craft which gave us the Arrow Shaving soap and splash. I was lucky that inside the box was a sample size tub for me to try as well. So I will be reviewing this along with something else that I received it’s a shaving form from Joseph Meyer. Not too many foam aftershave are hitting the shelves lately which makes this one extremely special. It stands out in scent and performance which I will talk about here as well. Today I’m using the new shaving cream I picked up called Pure by Gillette. I have to say I’m very impressed with the ingredients. This cream has no alcohol, Dyes, paragons or sulfates just like the name says it’s Pure. I’m always seeing the Gillette blades offered right at the same location and you have to laugh at the multi-blade prices at $45.00 for 5 it just highway robbery. Any wet shaver will tell you how cheap and how long a box of 100 DE takes you. In fact, I’m on the same box for over 2 years now. This week I took to the local Rite-aid for another look on the shelves and came up with 4 different products that I will be reviewing. 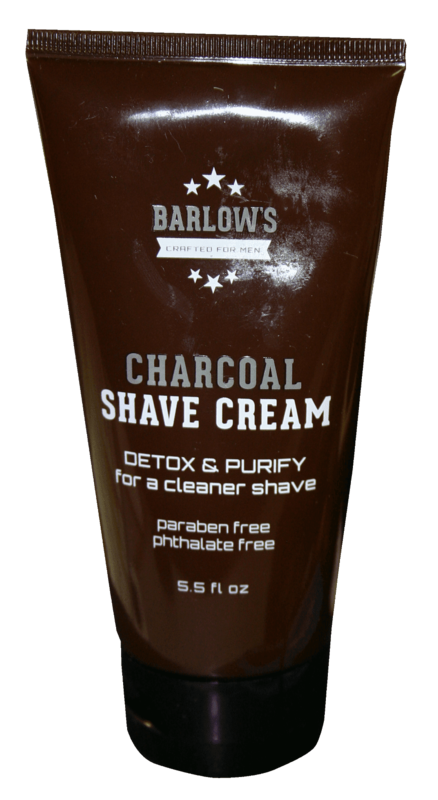 First up is Barlow's Charcoal Shave Cream. 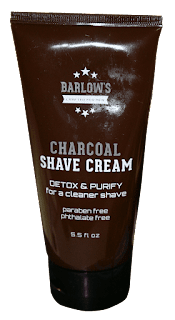 Charcoal is becoming the new additive these days in lots of products I’ve seen it many times in shaving soap before but not shaving cream. Come to think of it I’ve never even heard of Barlows until now. So I did a little investigative work online and found something very interesting this is a Private label company owned by 180 Innovational LLC. This brand has no website and only sold through places like CVS, Target, Rite-aid you get the picture. They also own other brands ranging from Medical to HairCare products. Here is a link if you're interested - https://trademarks.justia.com/owners/180-innovations-llc-3504706/ So you can see that the experience of an artisan product is pretty much gone so don’t let its advertising fool you. Another peek into the soap making process. This time bar soaps. A different process than making shaving soap we use the cold process method. Here I start you at the beginning of melting the oils and butter to the end when we pop them out of my 3d printed molds and placing them on the racks to dry.